This is a continuation to my previous video about Poing's Little Adventure. It is a combination of animation and video footage. This soundtrack is again from the anime called 'K-On!' - Small Flashing. Initially I created a short animation of Poing falling onto the bed, as an experiment. I was given the word was 'Lightness' for a class assignment, so I thought of creating a small character just wondering around the clouds up in the sky. 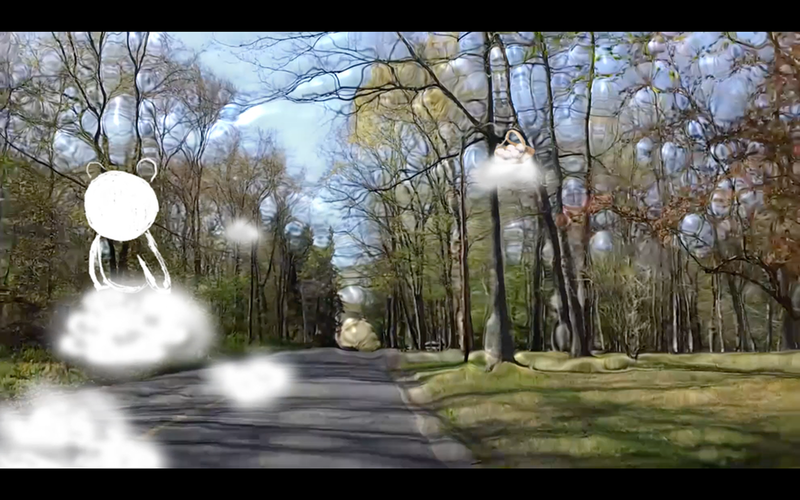 Eventually for my final assignment I have extended the video to portray a short adventure story.